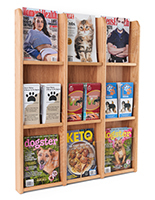 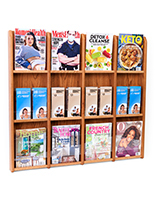 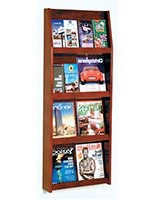 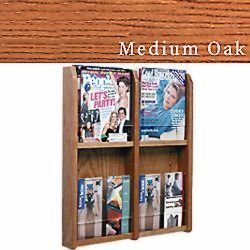 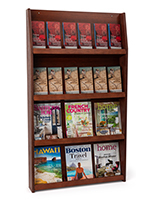 21"w x 24"h x 3"d, solid oak frames with acrylic front, holds 4 magazines or 8 brochures with the use of the plastic clip-on divider. 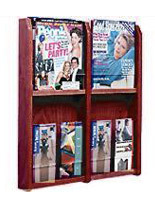 (4 included) Adjust the pockets to suit your church's literature distribution needs or keep your waiting room reading materials orderly for clients. 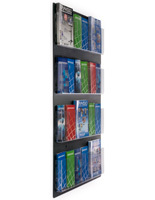 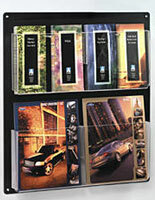 The tract rack design and traditional finish are perfect for any office, business, or organization.